So, my website went dead for a while there, as rarely-updated, held-together-with-sellotape websites are wont to do. I let it lie fallow for a while, but then seized the opportunity to finally ditch the overblown ogre that is Wordpress, along with my flaky old hosting provider and the unnecessary subdomain (old links will still work though). Now the entire site is static, generated on my laptop in Jekyll and flung up to the server as plain old HTML. (How was serving a blog directly from a database ever considered a good idea? We were such dorks back then.) Porting everything over to Tumblr or starting onto Medium would have easier, but, you know, tending to your own garden is nice. Other bits of housekeeping. I added a list of recent links from my Pinboard account at the bottom. Linkblogs seem to have gone out of fashion, but I always liked skipping over someone’s internet breadcrumb trail. Fresh lick of paint. Comments are gone. The feed should still work. By way of reintroduction, since last posting I traveled around Asia for four months, got married to Paula, and moved from Zurich to San Francisco to work on a new thing. All of which maybe explains the fallow period. 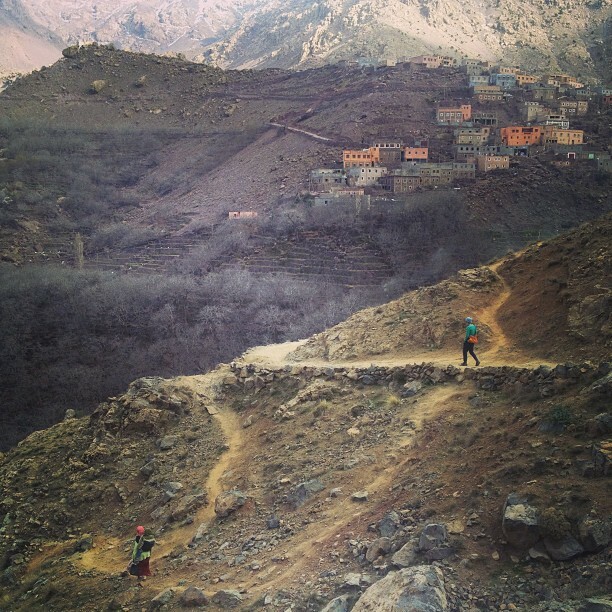 Photo: Walking in the foothills of the Toubkal Valley, Morocco a couple of months ago. More recently swapped for steep SF hills and silicon valleys.